Indian movies rarely have something fresh or exciting to offer when it comes to new content or experimenting with different genres. 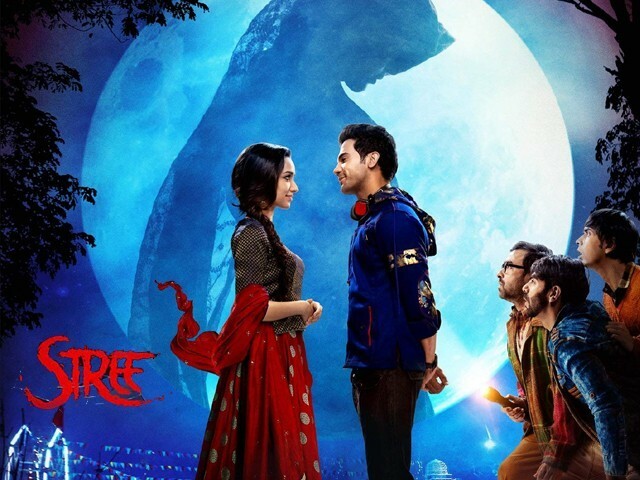 So when I heard about Stree, a horror-comedy centred on the ghost of an angry woman wandering dark narrow roads in search of her husband who was murdered on their wedding night, I couldn’t wait to watch. The film’s theme is inspired by a horrific urban myth of the 90s known as ‘Naale Baa’, which is embedded into the local culture of Andhra Pradesh, Maharashtra and Karnataka. The inhabitants of these states avoid staying outside late at night (even today), feeling they can be easy targets for the spirit of an enchantress bride who purportedly seduces men and abducts them, leaving their attires on the spot. In order to protect themselves, residents believed that writing “O Stree Naale Baa” (oh woman come tomorrow) on their walls would limit the access of Stree, the vindictive witch, to their town. Keeping in mind the essence of Naale Baa, director Amar Kaushik, famous for his short film Aaba (2017), endeavours to deliver the message that the maltreatment and victimisation of women is the fundamental reason why the spirit of an angry bride would commit such acts of vengeance against the male population. Stree follows the story of Vicky (Rajkummar Rao), a young tailor living in a small, old-fashioned town called Chanderi in Madhya Pradesh. Regarded as the Manish Malhotra of Chanderi, he is bizarrely skilful in stitching women’s clothing without using a measuring tape. Vicky happens to fall madly in love with a strange and mysterious girl (Shraddha Kapoor) who persuades him to stitch a lehnga choli for her to wear at a Durga Puja festival. However, Vicky’s close friends warn him to end this ‘fraandship’ and stay away from her, as they notice how weird it is for the girl to only appear during the four-day Puja festival. Perturbed by her behaviour and convinced of their deduction, his friends label her ‘Stree’. Vicky, believing it to be superstitious nonsense, initially ignores their suspicions. But as his friends start to disappear, he is compelled to investigate the fable of Stree, with the help of a paranologist known as Rudra. Avoiding taking the direction of a mundane horror film, Kaushik presents Stree with a completely idiosyncratic panache and perspective. Although Bollywood has explored the horror-comedy genre with movies such as Great Grand Masti and Golmaal Again, Kaushik’s venture delves into comedy from the beginning to the very end, rather than straying towards indecent territory. An eerie atmosphere is constant throughout the film, but the audience is distracted from the omnipresent chills with simple witticisms and one-liners. However, as the story nears the end, it suddenly focuses on bringing to light a feminist point of view on male dominance through a man’s perspective. This jump from a horror-comedy thriller to a commentary on equality and revering women – while perhaps well-intentioned – feels completely out of place. A rushed, incoherent call for women empowerment suggests that filmmakers were likely trying to cash in on the political climate of today and on the #MeToo movement; nonetheless they failed in their attempt to do so. Apart from the forceful add-on of feminism, the filmmakers successfully tackled a risky genre – horror-comedy. Intermingling scary folklore with good comedy and enjoyable music is the most compelling aspect working in favour of Stree. The screenwriters adeptly cut down the overdose of the Naale Baa myth to make the creepiness blend with the bizarreness of the plot. As far as performances are concerned, it is Rao who steals the show by once again showing off his versatility. As the protagonist, he truly becomes the centre of attention by portraying an over-confident yet innocent Vicky, while also handling the romance element with ease. Kapoor’s selection as Stree, a mysterious woman, is perplexing to say the least. Although her seductive smirks and facial expressions build an aura of mystery and secrecy, her character building is not very convincing. It would be accurate to say that ironically, her role comes across as underwhelming due to Rao and the other male characters who were written with multiple layers, unlike Kapoor’s one-dimensional character, who does not even have a name throughout the movie. All in all, Kaushik’s Stree is not a flawless film at all, as it comes across as more of an experimental hodgepodge with no hair-raising attributes. However, it sustains its claim of telling a spooky anecdote ‘based on a ridiculously true phenomenon’ with a sprinkle of social satire, all the while touching serious subjects such as gender disparity and misogyny as well. Unless and until something more exciting comes across in this genre, which is unlikely to happen anytime soon, this film is original enough to be remembered by audiences. A fine one-time entertainer, you can enjoy Stree if you keep high expectations aside and don’t take it as seriously as the movie expects you to.